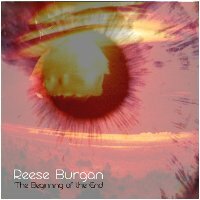 Earth Mantra is pleased to welcome back electronic artist Reese Burgan, with his superb new ambient/downtempo electronic album The Beginning of the End. Ordinarily we focus our attention mostly on the ambient and experimental worlds, but every now and then some music comes in the door that compels us to make an exception and release something with a bit more beats in it. Such was the case with this unique and tasty release. Reese is one of those exceptional talents who seems destined for great things. Given the quality of the music he has so far released, it is difficult for us to wrap our heads around the fact that the artist is only nineteen years old and has only begun studying music at the college level. Despite this relative paucity of experience, Reese produces music that is mature, thoughtful, and full of distinctive twists and turns. A rare talent indeed. With The Beginning of the End, he has crafted a collection of six enticing electronic compositions that range from mid-tempo electronic pieces that strongly evoke Jarre, to emotional film score soundscapes, to delightful beatless ambient pieces that beautifully combine tonal and atonal elements, always with a strong visual component. One of the best aspects of Reese's musical style is his use of what we can only call compositional 'plot twists'. Just when the listener thinks they can anticipate what will happen next, the music turns on a dime and morphs into something totally different and original. But, again displaying suprising maturity and taste, he never overuses this compositional device. A refreshing approach, and one we think our listeners will particularly appreciate. We encourage all our listeners check out this album, even those who ordinarily shy away from music with beats in it. There is truly something for everyone in The Beginning of the End, and we hope to hear much more from this artist in the future. Well... an amazing album. Very interesting beats, sweaps, pads and other instruments. That was new for my "ears". Quite original style. I like it, and think, others ambient/electronica listeners would say the same.